When a minimalist watch is well-designed, it can adapt smoothly to casual or formal wear. 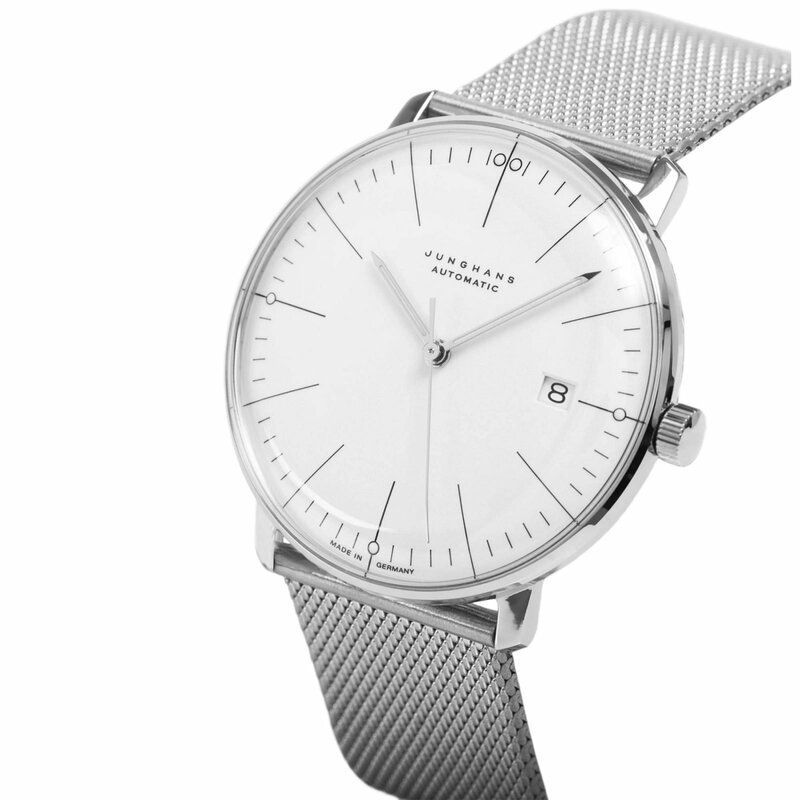 And few timepieces are as versatile as the Junghans Max Bill Automatic watch. Designed by the iconic German watchmaker, the timepiece pays homage to the legacy of Swiss designer, architect, and artist Max Bill. The Bauhaus-inspired dial brings together vintage and modern touches in a clean design. On the white dial, long and thin hour markers join shorter minute markers to offer optimal clarity. The hands have a pointy end, while the slender seconds hand seems to act as an extension of the markers around the edge of the dial. A window near the 3 o’clock shows the date. 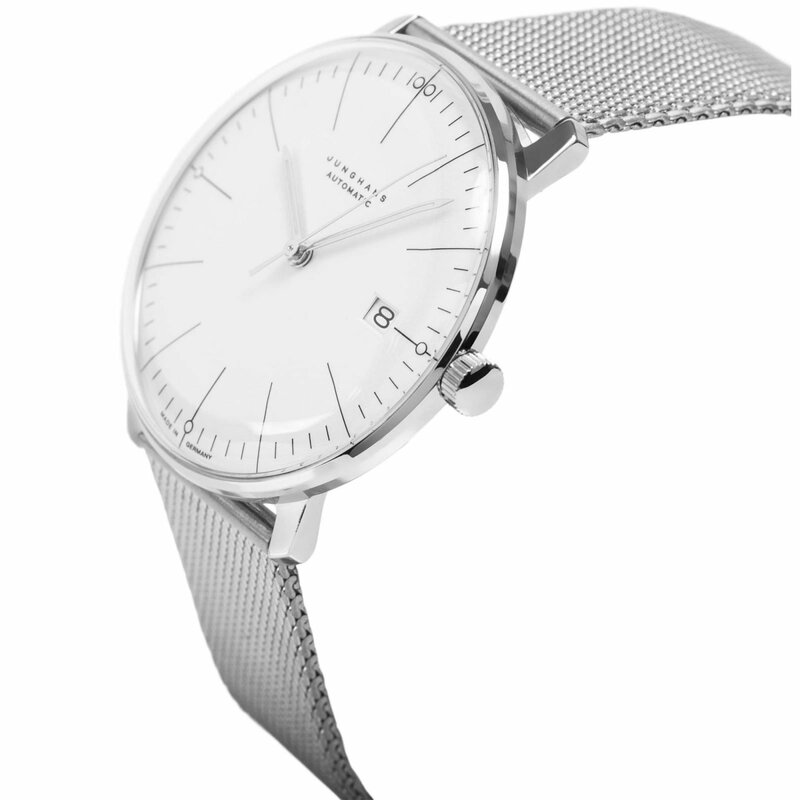 The watch comes with a Swiss movement and a fine stainless steel mesh strap.